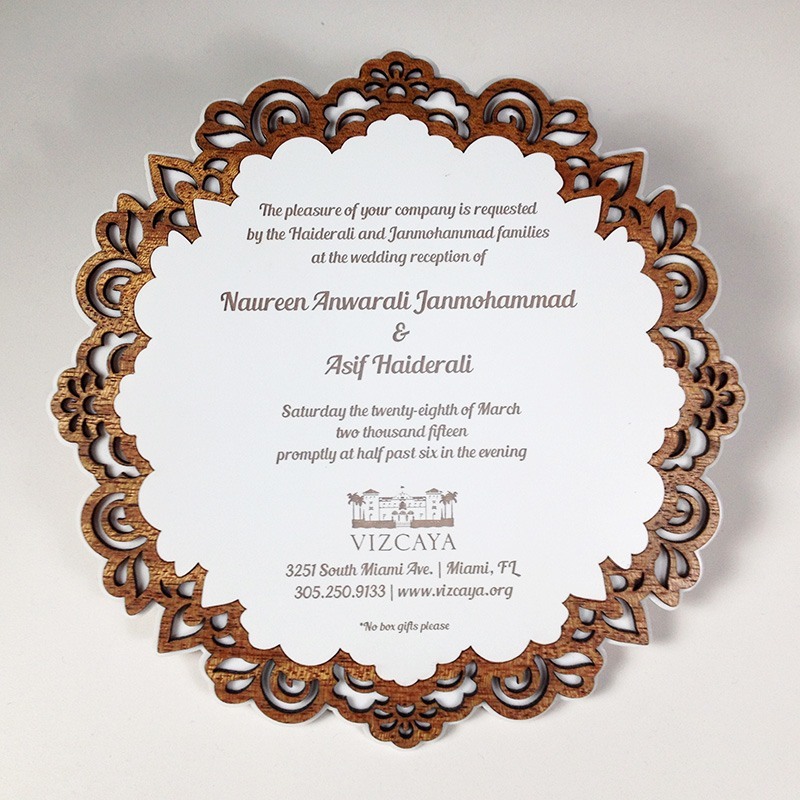 Asif and Naureen Wedding Invitations - Pure Black, Inc. 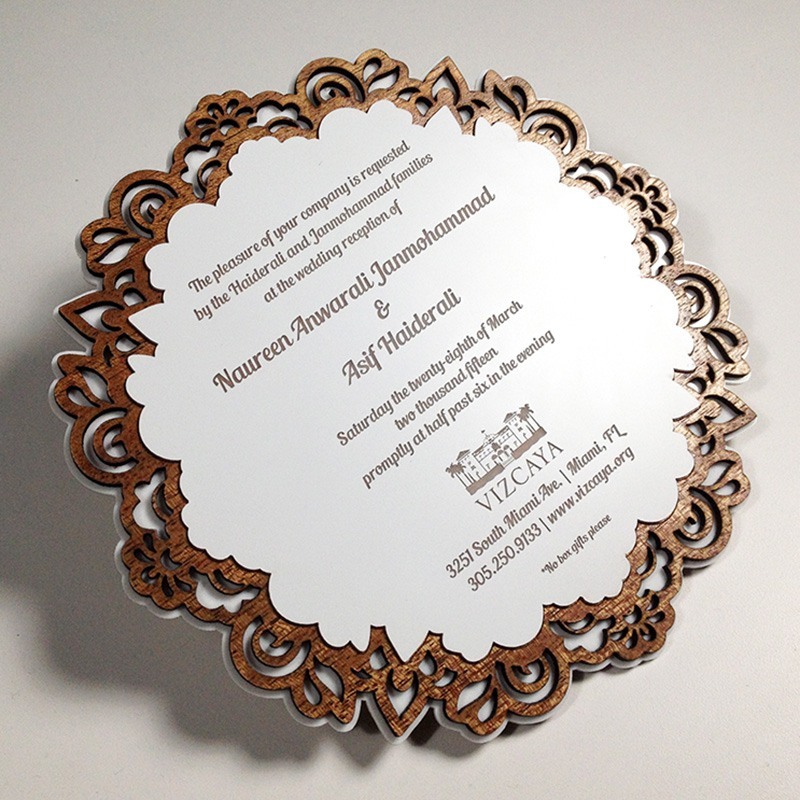 Check out these beauties we designed and produced for my friend Asif and his lovely wife Naureen. White/clear engraved face with mahogany behind that, mounted to 1/16″ acrylic. Congrats!